You’re sitting in the airplane, and they slowly start to roll out that cart through the aisle as you anticipate the airplane food and drink you’re about to eat. Some of you love airplane food, others of you not so much. But what can be said for sure is that eating is one of the major parts of being a passenger on an airplane. 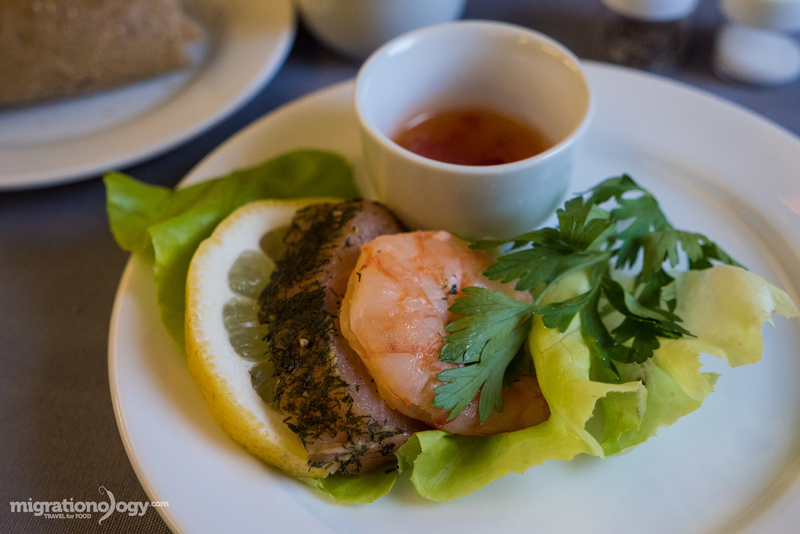 I recently took a round the world trip for food with Star Alliance on Business Class. 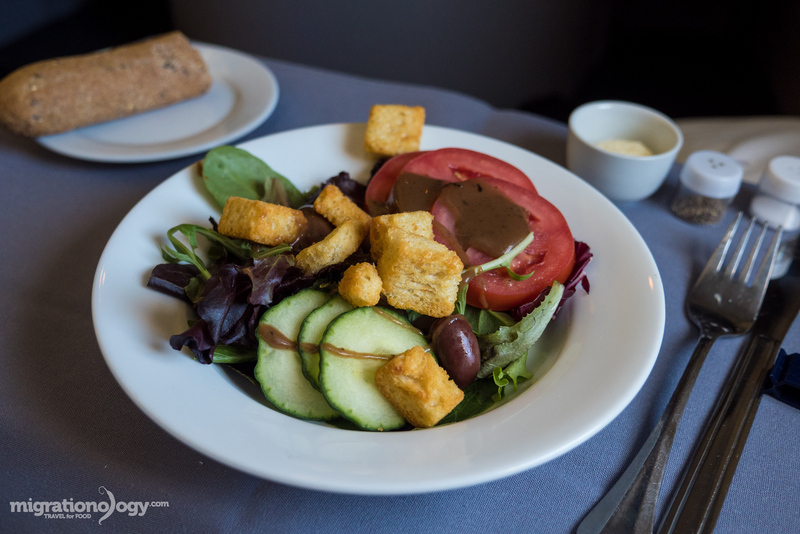 In this post I’ll share the airplane food I ate, and what was the best (and worst). Which airlines serves the best airplane food? 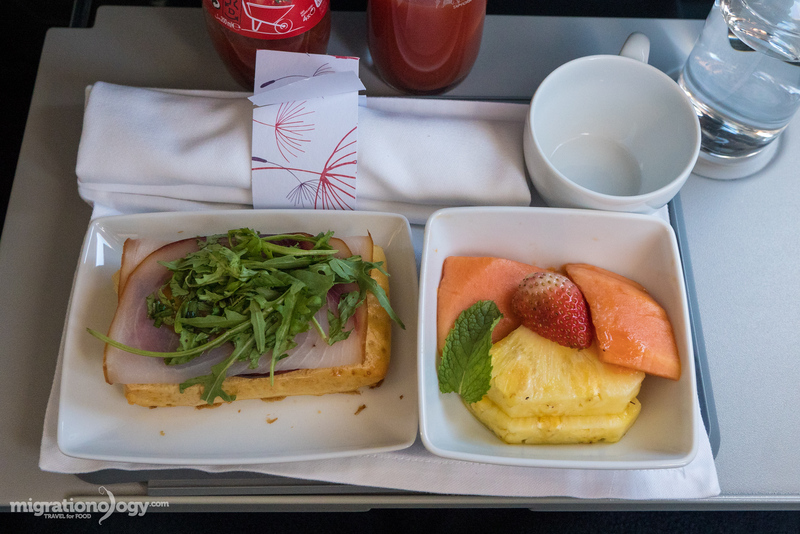 During my round the world trip, I didn’t have a chance to fly on all the Star Alliance airlines (I’ve heard Singapore Air and EVA Air might have some pretty good food as well), but in this post I’ll share the meals I had on the airlines I had an opportunity to fly with. Ok, let’s get started with some serious airplane food. My first flight of the trip on Air India from Bangkok to Mumbai (watch the video here). 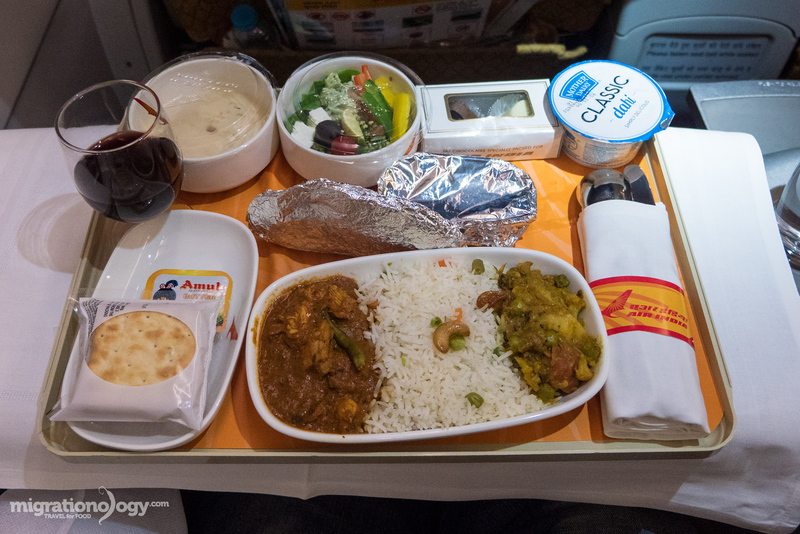 We were served dinner, and for my first airplane food meal of the trip I had prawns curry, which came on a full tray with daal, roti, salad, some kind of mousse dessert, and yoghurt. I’m still dreaming about this prawns curry! Though I was expecting some small little scrawny prawns, they turned out to be big giant meaty prawns with a wonderful muscular texture. The prawns were good quality. Then I tasted the curry, and I was honestly quite impressed. The spice blend was fantastic, and I could taste especially the cumin and cardamom, and what I liked was that the curry wasn’t oily either, but rich with spices. After spending 5 days in Mumbai, my wife and I caught another flight with Air India from Mumbai to Muscat, Oman. Our flight was again at night, and we were served dinner. This time on the menu was angara chicken masala, which came with aloo gobi, salad, and roti. Again, the chicken masala was really tasty. The spice blend was what you would expect from an Indian curry, and not watered down. I thought it was excellent, perhaps not quite as good as the prawns masala, but that’s partly just because I’m a prawns lover. Istanbul is a city that I’ve wanted to visit all my life, and on this round the world trip I had an opportunity to fly with Turkish Airlines from Muscat to Istanbul. Our flight took off at about 1 am, so we were served breakfast, and not just any breakfast, but the world famous Turkish breakfast. My Turkish Airlines airplane food breakfast first began with a plate of assorted Turkish cheeses, tomatoes and cucumbers, and some seriously fresh and crusty nut encased bread. At the top of the tray was some fruit, olives, some kind of Turkish spread (I think made from roasted red peppers), and honeycomb (pretty cool). 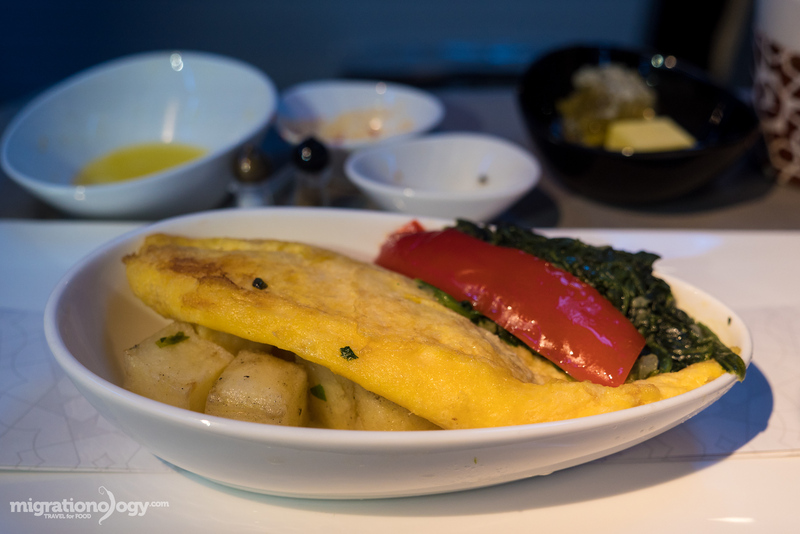 The main course was an omelet accompanied by potato wedges, spinach, and a red chili pepper. The egg was a little on the bouncy texture side, but it was good and I especially enjoyed the cheeses and bread of this airplane meal. After an amazing stay in Istanbul, we caught another Turkish Airlines flight from Istanbul to Rome. This time our flight was in the middle of the day and we were served lunch. Before getting started on this airplane meal of the flight, it’s also worth mentioning that the Turkish Airlines lounge in Istanbul is one of the greatest airport lounges I’ve ever been to. 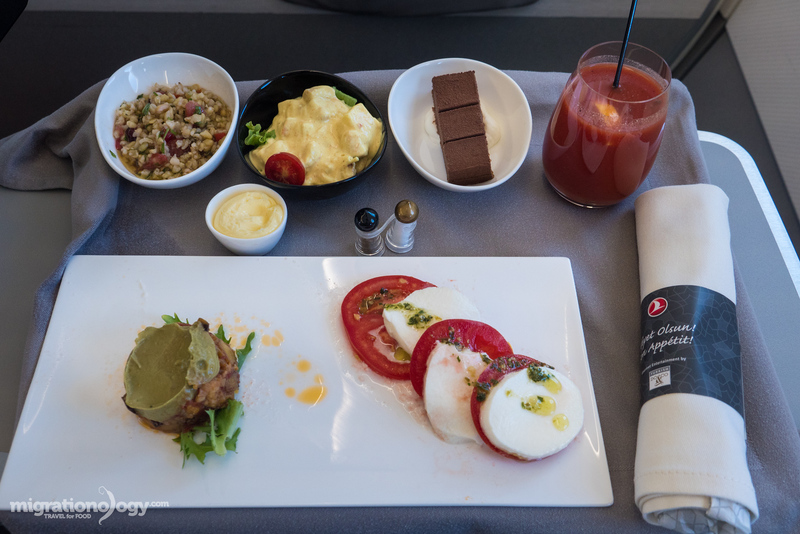 Ok, so on this flight the meal began with a cold appetizer of some kind of cheese (I think it was perhaps goat cheese as it was crumbly and slightly animal tasting), with slices of fresh tomato, all garnished with parsley and olive oil. Delicious. Also, it came with an eggplant salad topped with avocado. For main course, and I’m not making this up, but my wife ate too much at the Turkish Airlines lounge, and so she wasn’t hungry at all; So it was up to me to eat two entrees. I ordered the Turkish adana kebab and Ying my wife ordered the poached fillet of sea bass with chard. The kebab, although a little drier than a kebab on ground, was nicely flavored, and pretty tasty. The fish was also wonderful. For airplane food, this was some seriously good dining, and the service on this flight was fantastic. From Rome we took Scandinavian Airlines, known in short as SAS, to Stockholm, Sweden. Our flight was in the middle of the day, and we were served lunch, but it was a very light lunch, more like a snack. I’m assuming since it was a short flight, business class wasn’t really much different from economy class, and I think the food was the same as well. 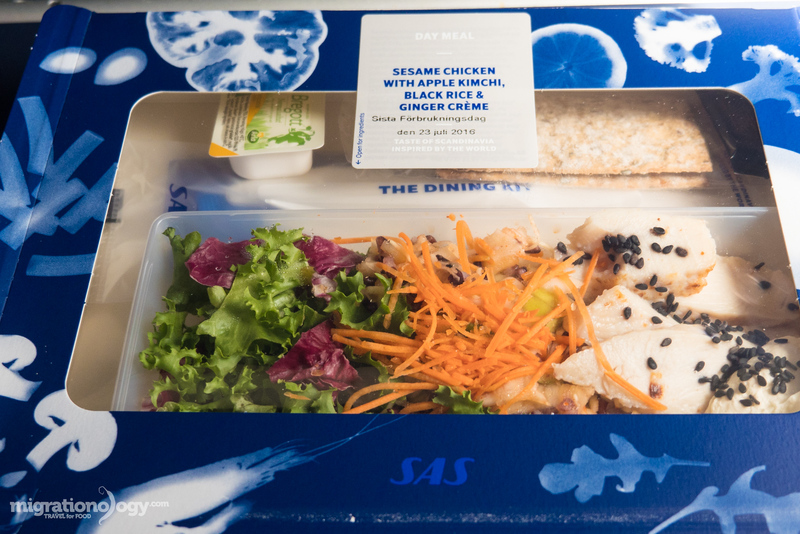 Lunch came in a little box, and it included sesame chicken, with apple kimchi, black rice, and ginger creme – and on the box it said “Taste of Scandinavia inspired by the world.” Quite a fusion combination! Apart from being a little on the plain side, it was actually quite surprisingly refreshing. I was hungry for a bigger lunch, so it wasn’t really filling at all, but it did taste alright. When my wife and I flew from Stockholm to Barcelona, we took Lufthansa, but we had to take two separate flights, from Stockholm to Frankfurt and Frankfurt to Barcelona – so it included two flight. On the first leg, there were no options for the airplane food, but they served everyone the same thing. 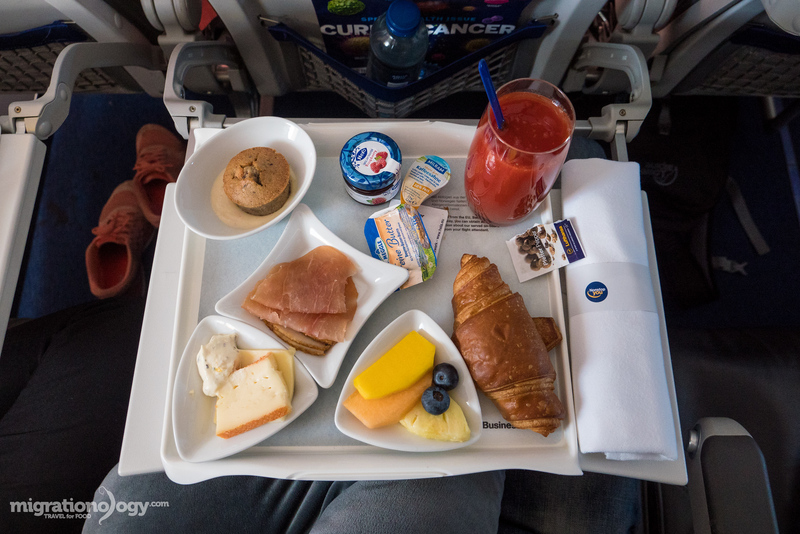 They called it a light breakfast, and on the tray was a croissant, a muffin, fruit, some cheeses, and a selection of different cold cut meats. The meats and cheese were pretty good. On the second flight, the food was similar, we were all served the same made up tray and this time it included some kind of really good dark colored ham, and and assortment of pretty good cheeses. Again, it wasn’t really a filling meal, but more of an appetizer snack. I thought the food they served on Lufthansa was good given the shortness of the flights. From Barcelona we headed to Lisbon on TAP Portugal. Yes, the flight was really short, only a little over an hour, but the food was really not very good at all. The papaya was mushy and tasteless, and the cured fish (or turkey?) was placed over a piece of soggy bread with a messy handful of arugula on top. I’m not complaining (and I will tell you that I ate it and somewhat enjoyed it)… but I don’t think it was up to business class standards. 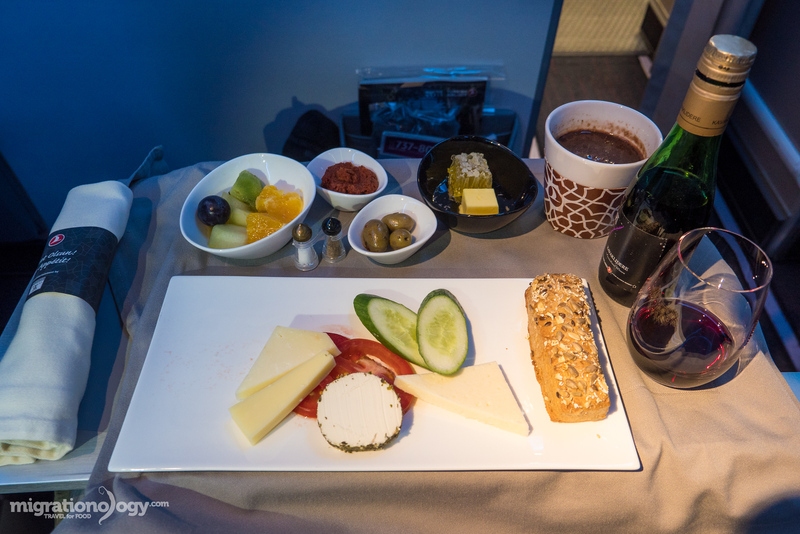 From Lisbon, we flew to New York City on United Airlines business class. The seats and the actual airplane was the best of all the airplane flights so far on the round the world trip. Ying and I were both pretty excited to have the full reclining seats, and especially because it was a long flight. 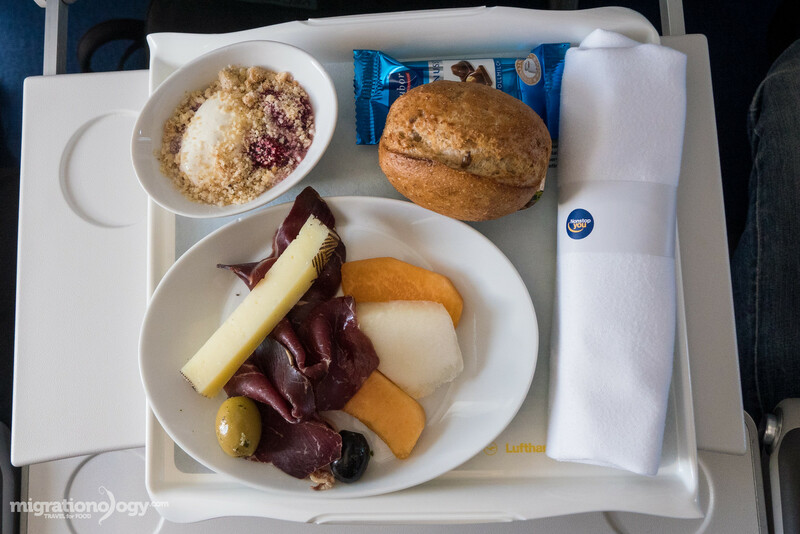 Our flight left Lisbon in the morning and so the first airplane food meal served on our United flight was lunch. I ordered the salmon with couscous and some kind of tomato vegetable sauce on the side. But before main course was served, we were first served an appetizer of smoked salmon and a shrimp cocktail, followed by a salad. The salmon and couscous was excellent. 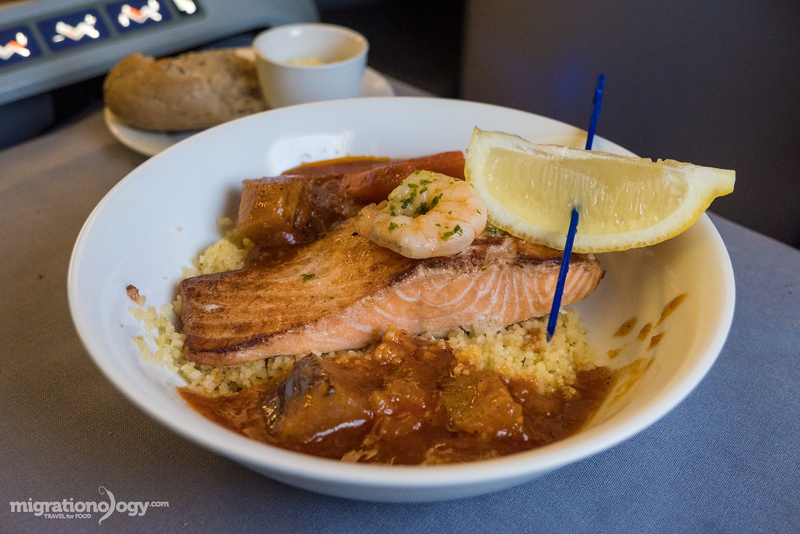 The salmon was flaky and moist, and it went so well together with the fluffy couscous and tart sauce on the side. It was a delicious airplane food meal. In addition to the meal, they also had Goose IPA beer on United Airlines, which is an excellent perk. For dessert, they came around with a cart of ice cream and toppings, and Ying loved it. But more my style of dessert was the grapes and cheese course with some kind of sweet liqueur to which I fully enjoyed. 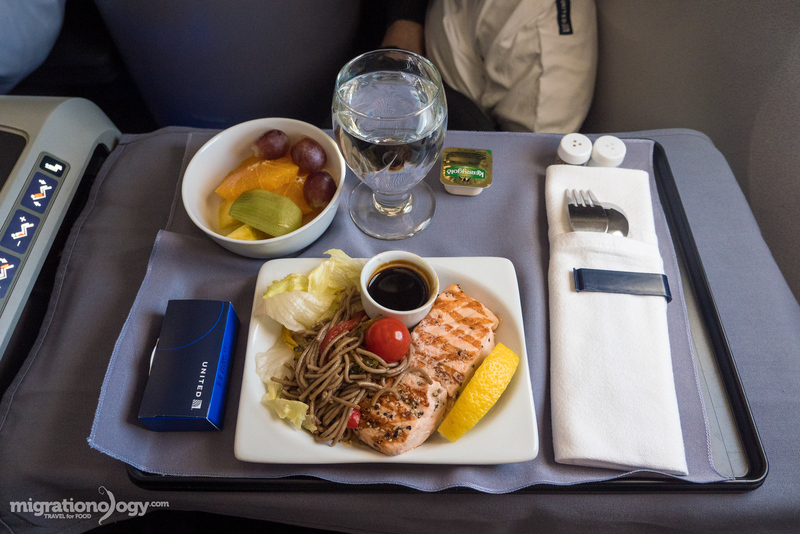 Before landing in New York City, we were served another meal, this time breakfast. 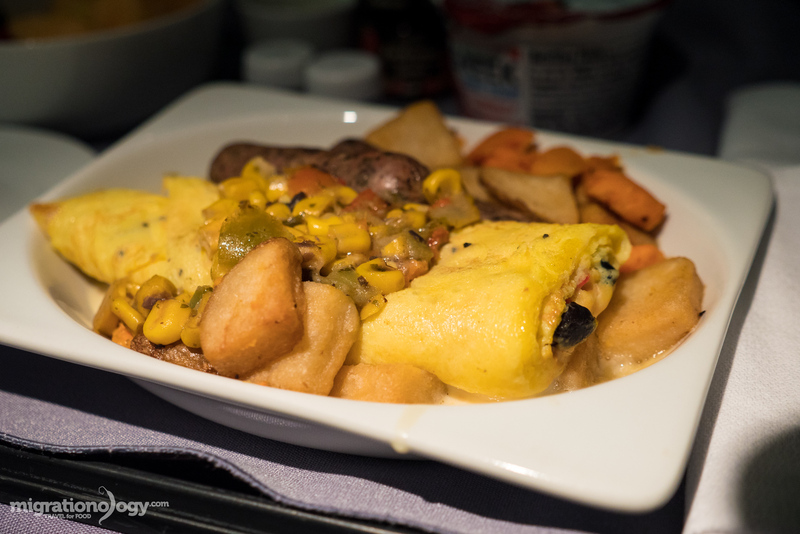 Somehow omelets never quite turn out as good on airplanes as they sound (maybe I’m not a huge fan of those slightly rubbery textured omelets). However, it was still a pretty good breakfast, and the sausages were especially really good. 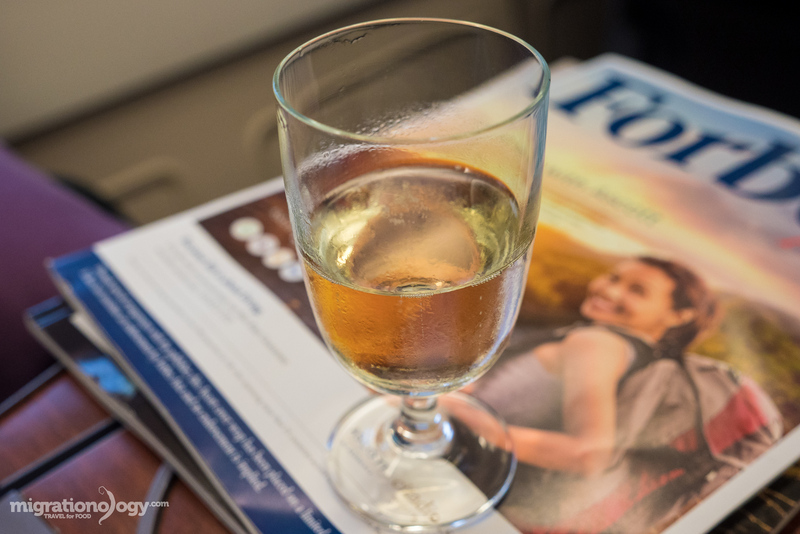 I had previously only flown short domestic flights with United Airlines, but I was completely impressed by both the service and comfort on United Airlines international flights. By far the longest flight of this trip was from New York City direct to Hong Kong on United Airlines, a 16 hour flight. Being on business class, I was actually not dreading it, but looking forward to it. For our first meal, I ordered the beef short rib with red wine sauce. But first, we had an appetizer of thick slabs of cured salmon, and it was amazing. My wife doesn’t really eat smoked salmon, so I had two full plates to myself, and it was thoroughly delicious. Then came the salad course, also good and refreshing. But undoubtedly the highlight of was the beef short rib. 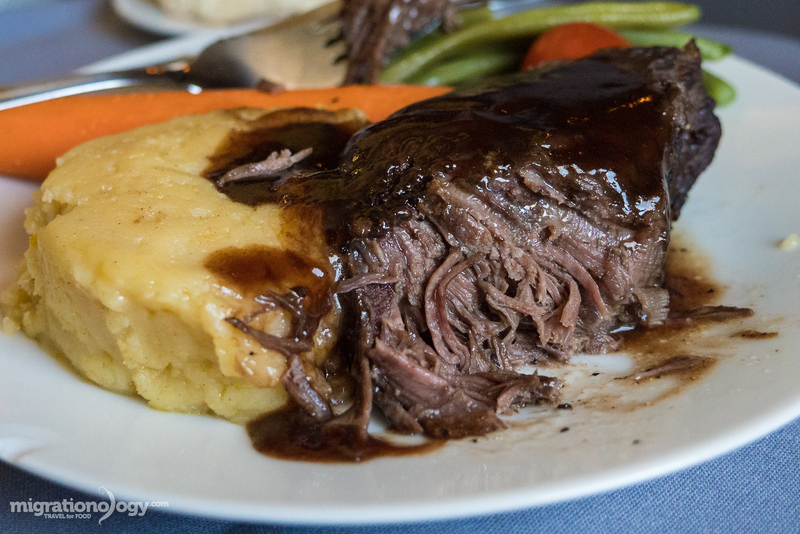 The plate included a pretty significant hunk of boneless short rib covered in red wine reduced sauce, plus mashed potatoes, and some vegetables. The short rib was incredibly tender and juicy and full of flavor. For me, the short rib meal was about as gourmet and classy as airplane food that I’ve ever experienced. 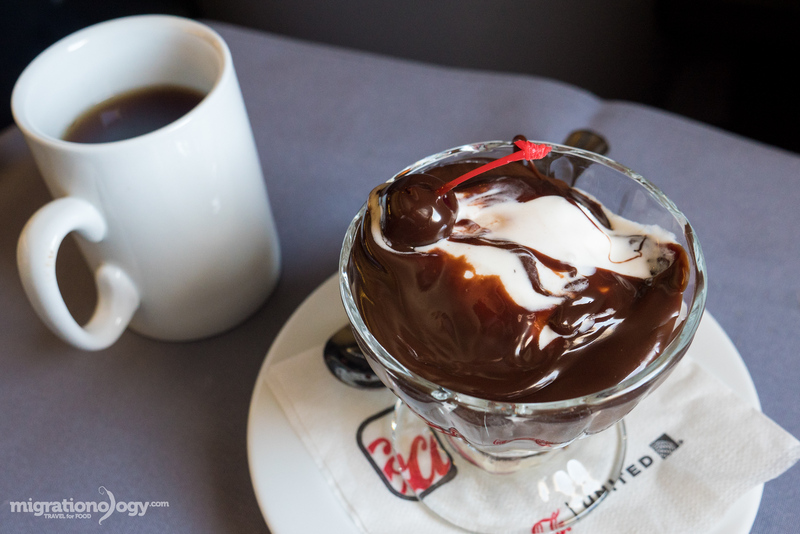 Ice cream with anything and as much chocolate sauce as you want for dessert. Again for dessert on United Airlines, we had the full ice cream bar rolled out on silver carts, and cheese and grapes to finish it off. I then slept for a very long time, and I’m not sure if I missed any food. But I woke up before landing in Hong Kong, to eat our final airplane food on United. I have no idea what time it was in the world when we were serve this meal, but I got the salmon with soba noodles, and again, it was an excellent meal. Something I would have ordered at a restaurant on ground. 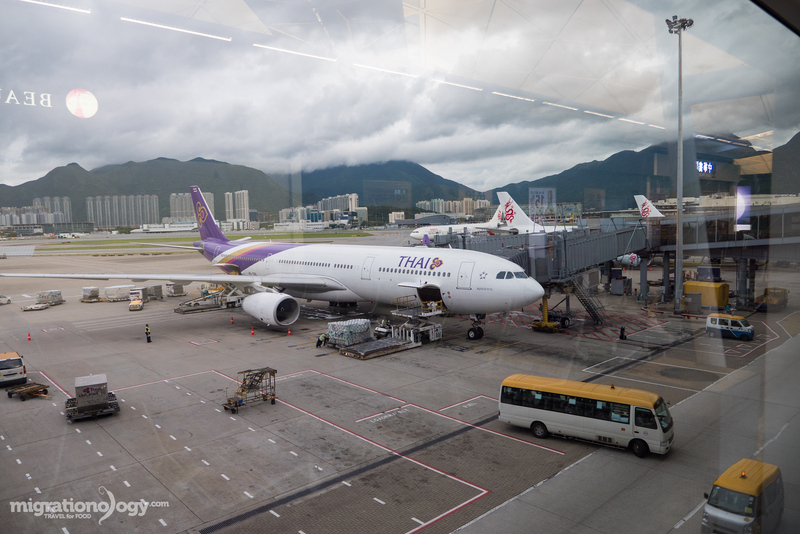 For our final flight of the trip, my wife and I flew from Hong Kong back home to Bangkok on Thai Airways. Perhaps my expectations for the Thai Airways food was a bit too high, Bangkok being our home. 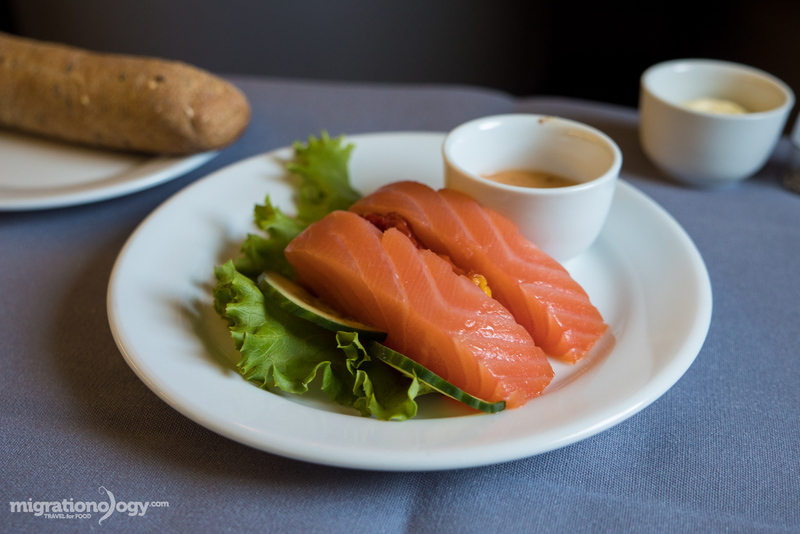 For starters, I had smoked salmon again (recurring theme on business class? I don’t mind. ), with dill and capers. It was good. Then for main course, choosing to order the Thai dish of the meal, I got the basil chicken with rice and a fried egg. The rice and the fried egg were good, but unfortunately the basil chicken wasn’t good at all. It was oily and sweet, with zero taste of the holy basil. I may be a little picky when it comes to Thai food, however, I think the Thai Airways basil chicken needs some serious improvement. So, who served the best food? 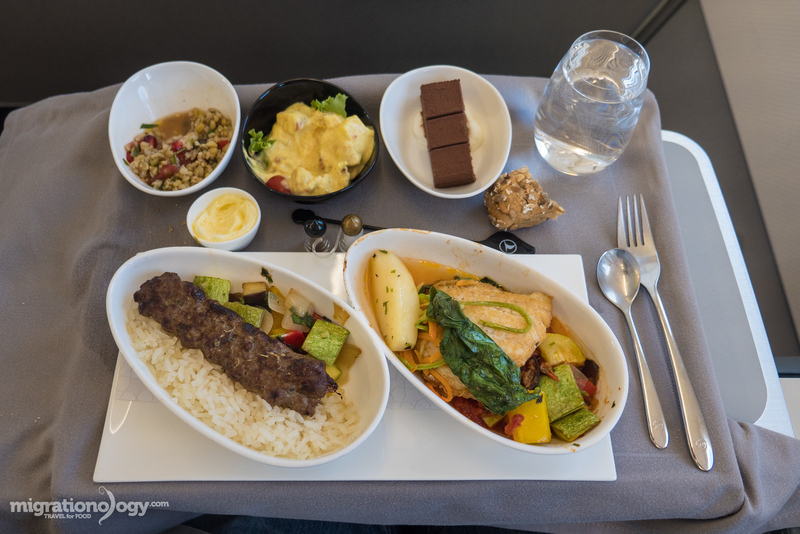 Again, keep in mind that some of these Star Alliance flights were longer and served better food than others, just by chance of the routes I flew. So this is just what I experienced – and if you have anything to add or any input I’d love to hear from you in the comments below. United Airlines – 32,000 feet in the air with a boneless beef short rib was just spectacular. 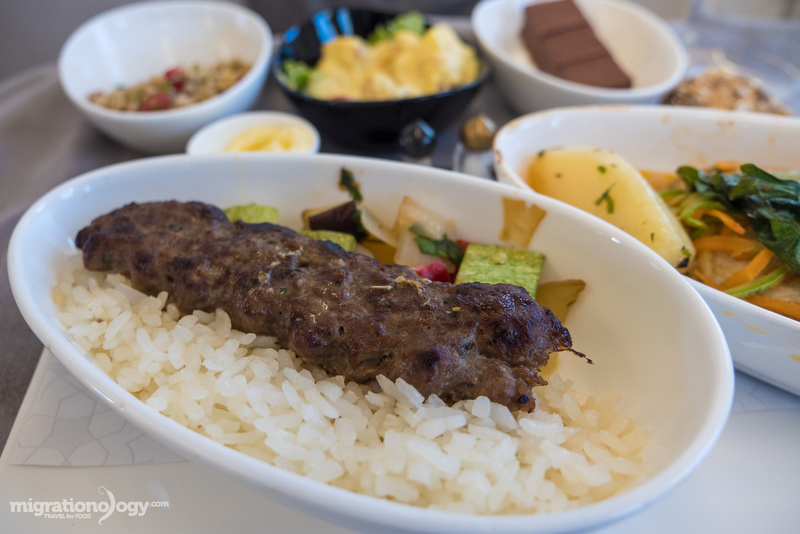 Turkish Airlines – The care and quality of the ingredients on Turkish Airlines really stood out. 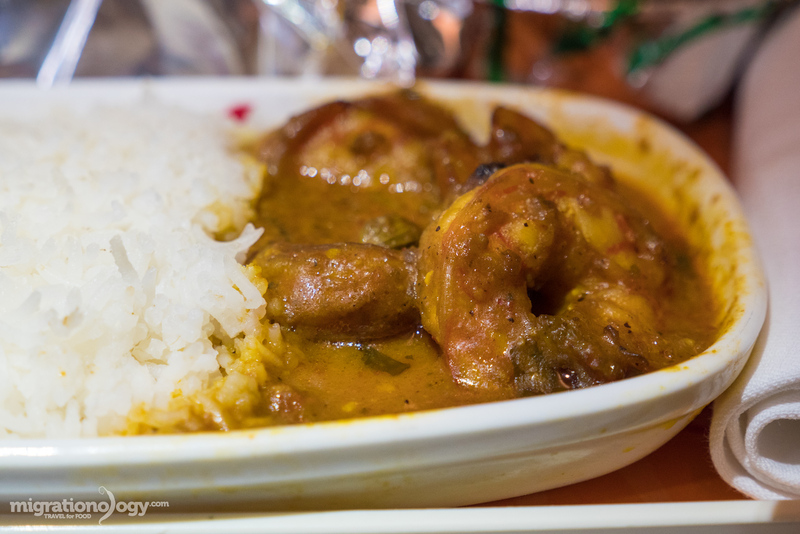 Air India – The prawns curry and the angara chicken masala were both delicious. TAP Portugal – The soggy bread with cured something on top just didn’t cut it. 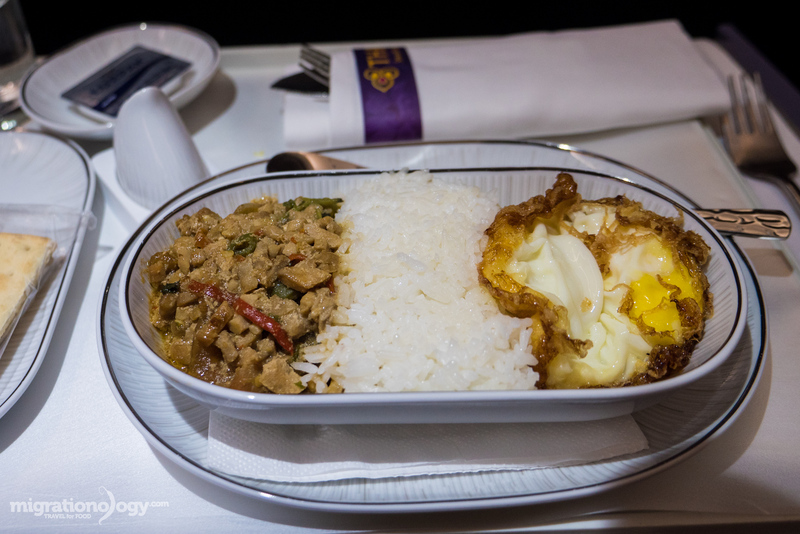 Thai Airways – The basil chicken from Thai Airways; it needs some improvement in taste and quality. Best service: Also, I would like to mention the best service was a tie between Turkish Airlines and United Airlines. I had never really thought highly of American based airlines, but United really proved me wrong. The service on their long international flights was fantastic, and the staff were friendly and helpful. Disclosure: My round the world trip tickets were sponsored by Star Alliance, but I chose to write this blog post and all thoughts and opinions are my own. Thanks to all the airlines for flying my wife and I around. 79 comments. I'd love to hear from you! So much salmon! 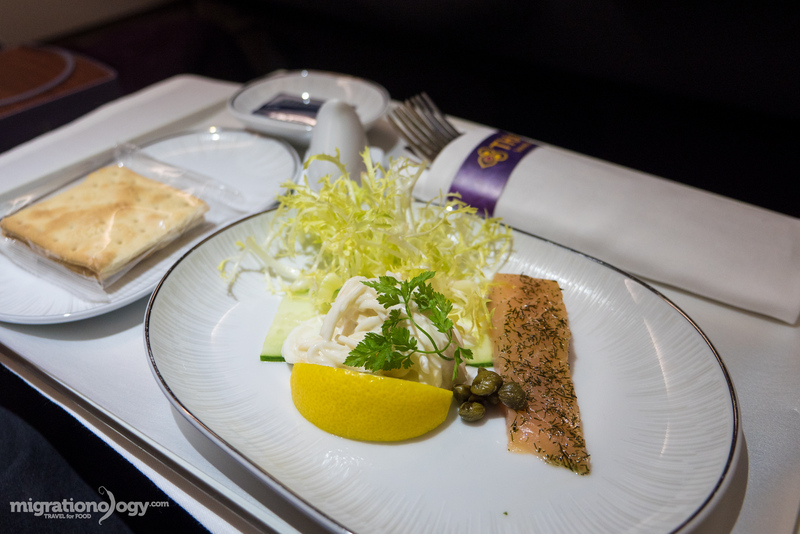 Those are some seriously impressive looking inflight meals. Would be interesting to see their economy counterparts. Just like Turkish, Austrian Airlines uses Do&co and has an inflight chef. The food they serve on board are hard to beat in my opinion! Hello Mark. I am really enjoying reading your excellent blog. Airplane food is not something I can say I have ever really enjoyed, but given the technical difficulties with preparation the airlines have, it seems like some do a great job. I am vegetarian so the choices are usually limited. These days I am more likely to take my own food, particularly on long haul flights. It was great to read your guide though. Now heading to your Portugal guides as I am planning a trip next year. I’m mostly pretty impressed with most of the airline food. Maybe because I don’t expect anything fancy. The last time I did not have a nice meals was with Iberia, a flight from Madrid to Johannesburg, but that was a few years ago. Hi Mark! Greetings from Greece & basicly from Rhodes (it’s an island). I’ve starting watching your videos on youtube cause I was searching about portuguese food. My boyfriend & I are going to visit Portugal next month and we are so excited and I wanted to learn about their local food so I found you! I did the same research for our last trip last year to Budapest and for that it helped a greek show about travelling & blogging named “Happy Traveller” ???? We love your vlogs & videos! Hello to Ying too!!! ???? Thank you very much Mostafa. Please say hello to your family as well! I just had a very impressive meal on China Southern (steamed fish with a sweet sauce). For an airline that previously provided quite low quality service it is good to see they are starting to provide some of the food that Guangzhou is famous for! Hey Wai, thank you for sharing, wow, that sounds great! 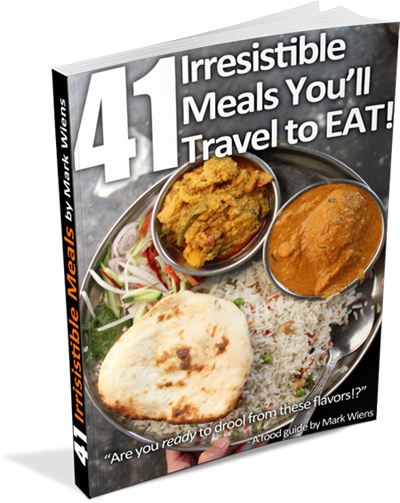 It’s a great list of airplane food. I have been to some of these flights and tasted their flavours but my votes would be of course different. I think I am not getting along so well with Indian food, altough I have been to North India three times. I am proud of seeing the Turkish Airlines in your list tough. As a person who was born and raised in Istanbul. Thank you for this great post. Hi Serhat, thank you very much for reading. Glad to hear you’re from Istanbul! I just couln’t resist everytime seeing your photos, damn! I just make my salvia drolling XD. In such a concise way you’ve made me feel as if I was with you experiencing all of those flight. Hi Susan, thank you for reading, glad you enjoyed it! Hi Mark! I love your travel videos (especially the 30-minute long ones 😉 and my favorite series is the 2 weeks in Bangkok one. My boyfriend and I were actually in Bangkok for 2 weeks in July and we were using your awesome guide all the time. We had a wonderful time, so thank you Mark & Ying (we actually hoped to run into you when we were there, but you were on your around the world tour at that time, so…:/). I really hope you can visit mainland China! 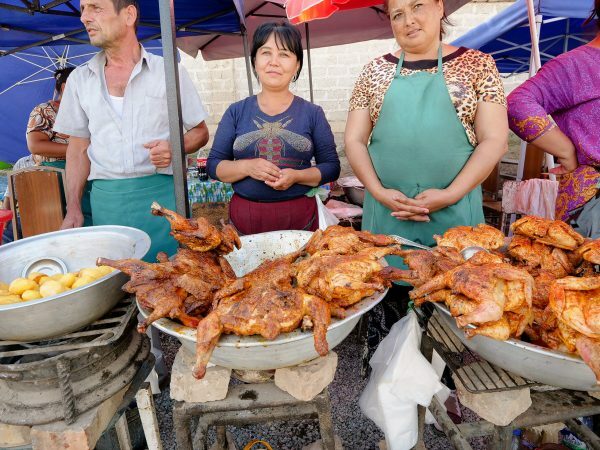 Beijing, Shanghai, Chengdu, Xi’an are all amazing places to travel, and both the quality and the selection of food is absolutely spectacular. If you are ever planning a trip to mainland China please let me know, I can tell you where to eat and where to go! Hi Elle, great to hear from you, thank you very much for your encouraging words. Glad you and your boyfriend had such a fun time in Bangkok. I would love to travel more around China, I’m really hoping to in the future. I will let you know, thank you for your offer! Awesome idea for a post. I love a good write-up about food, where the dishes are explained properly so I can sit in the confines of my room and imagine the taste on my tongue. You are a passionate writer, Mark! And the pictures are great as well! Keep it up and please write more on different cuisines and cultures. Do you happen to have a personal blog or page I can keep up with? That’s a wonderful description Mark. I’m also a traveler from India who writes about some of the most beautiful destination of the country. You can visit me at https://goo.gl/dxCGWZ where I have deliberately written about the city of Palaces Mysore. That’s a wonderful description Mark. All the details which you have provided are really wonderful . I’m also a blogger from India who writes about some of the most beautiful destination of the country. You can visit me at https://goo.gl/dxCGWZ where I have deliberately written about the city of Palaces Mysore. Looking at the pictures, I feel like packing my bag and leaving for a world trip with my family. 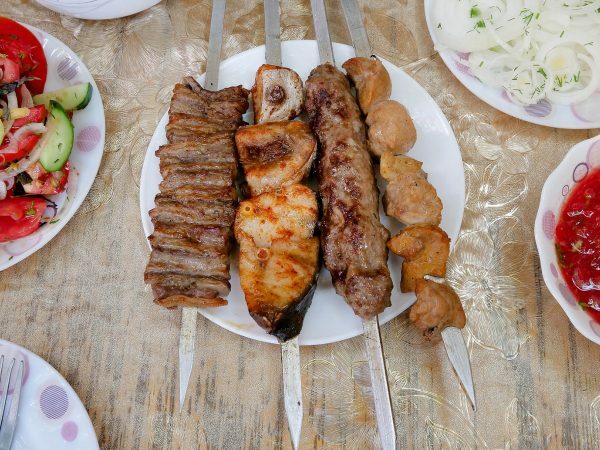 I love travelling and exploring different food cultures and learning about their lifestyles. I wish one day even I will travel and experience the joy and adventure in travelling. Mark you are a inspirational traveler!! I’m Ovie from Indonesia. i enjoy to watch ur video. when you come to Indonesia, it’s nice that you enjoy eating indonesian meals. Thanks for the video. can’t wait for the next food travel journey video. Hi, Mark! 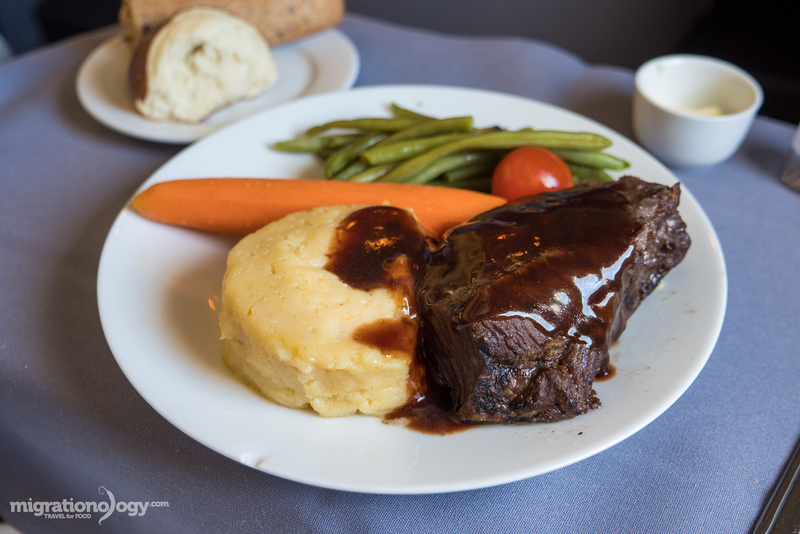 The beef short rib with red wine sauce from Flight #9: United Airlines – New York City to Hong Kong, looks fantastic! I will definitely include that on my bucket list! Your videos and articles are great, keep up the great work! I really like Swiss airlines service, pretty much similar to Turkish. Both share one thing in common, flight attendants will usually pass around with a tray of chocolates (swiss) and lokum (turkish), lovely! Hi Mark! I am from Kolkata, India… I really look forward to all your videos. I enjoy them a lot and they makes me feel that I am a part of your journey!! Your passion for food is incredible… and an inspiration to all… Thanks for opening up the world to us!! Hello. Came across your blog/site today. What a great idea – and fab photos too. A part of me wishes I had not come across your site though, coz I have been looking at all the pictures and my diet plans are well and truely effed (pardon the French!). That said, look forward to reading more. Best. p.s. :The worst food I have had on a flight was in Air New Guinea fm Manila to Port Moresby…all meals – fried pork and more fried pork! I have no idea how the vegetarians on the flight fared coz the vegetarian version had pork too! Hey Mark…amazing work u are doing. Your videos are awesome. I always look forward to you uploading another video. Keep up the good work. Hi Mark, I read & enjoyed your blog. Good sharing food in air plane. Blog helps to any traveller decide a which flight will be book on travel. Hey Hatice, thank you very much for your support and kind words. I’m really hoping to come back to Turkey again in the future and try more foods. It was way too short, but it was still an amazing experience. 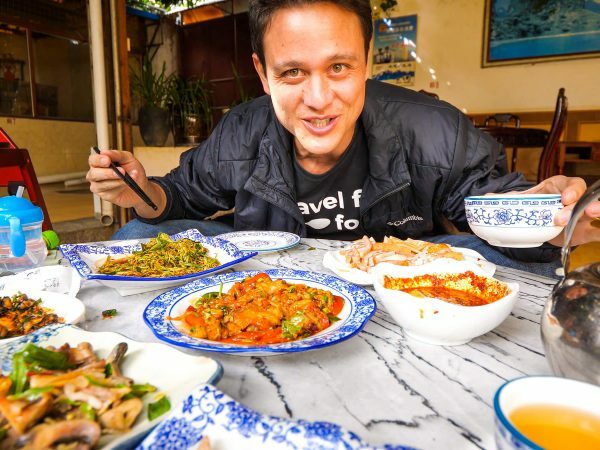 Hi Mark thank you very much for sharing your food & travel blogs and Vlogs . Its great that your are highlighting the price of every food item that your taste. My entire family loves watching your videos. Im originally from the southern part of India , it will be great if you could visit the south part of India especially Chennai , Kerala , Pondicherry on your next trip to India. Keep making more amazing food videos. Hi Thenmozhi, great to hear from you, thank you very much for your support. I would love to visit South India, hoping to on my next trip to India. Please say hello to your family for me as well. Scond the idea of a trip to southern India [ i include Odisha for some extraordinary scenery, architecture, food, and especially sacramental food served free at temples]. You can do a whole show on the last theme alone, and I guarantee it is worth your while. Please come to Coimbatore and Erode. We have organized a palm tapper’s cooperative for making high-quality Palmyra palm sugar. Hoping that some value-added products we are researching will spell a better life for the tappers and their families. We are strictly non-profit, and take no help from any govt. or private source. We shall take excellent care of Ying and you at Coimbatore, Erode and Hyderabad. Please plan to come in January, since the weather is slightly cooler and palm tapping is in full swing. It would be wonderful if you see what the palm tapping initiative is all about, since you will be able to compare it with Thailand’s own industries. I really, really admire what the Thais have done with their palm industry. With the goodwill of food writers. a palm sugar trail has become part of the exceptional food tourism scene. I should hope that you will turn a severe and critical eye on what is being done in this fairly remote area, a little outside Erode. Originally, this region, called Kongunadu, was the route from Chennai ports to the Kerala coast for trans-shipment to ancient Rome and the Near East of products for which India then was renowned, Today, it has become a bit of a backwater, and I am certain you will enjoy the charm of villages and humans still largely unspoiled by the breakneck modernization under way in India. Kongunadu has its own regional cooking style, recognized and much appreciated at Chennai. I think you will be among the first to chronicle for an international audience the fascinating cuisines of Tamil Nadu. This is a region that has had a lasting effect on SE Asia. The various dishes you see with :kling” as suffix, derive their inspiration from KALINGA, ancient name for Odisha, and by extension, all of south India. In Myanmar, for example, Kapitan Kling was the foreman of the work gangs brought over from India, and the food has retained marks of that past. You should probably allow for a relaxed pace; tight scheduling in India leads to a lot of frustration and avoidable angst. Please do come to this part of India, where the many cuisines will fascinate you. If you are willing, we can take you up to West Bengal, where quite another type of palm sugar from Phoenix sylvestris has been an ancient and proud tradition. I shall promise you the taste of palm sugars the likes of which you have never seen. Made with care, they rival the finest maple syrups and maple sugar, but are poorly known outside Bengal. Please do come!! Wow, thank you for all of this amazing information and for sharing about your non-profit palmyra palm sugar project. That sounds incredibly interesting, and it’s something I would love to cover. I’m not sure when yet, but I will get in touch with you when I can plan a trip to southern India. Thank you again! It occurred to me that the prawn curry you enjoyed so much must have been prepared by a flight kitchen in BKK? With the fame/notoriety you have earned through your many and wonderful travel documentaries, there is no doubt that the powers-that-be will only be too glad if you should decide to create a short video of the Flight Kitchens and winkle the recipe and cooking techniques for those wonderful seabugs! Hi Gautam, that’s very possible that it was cooked in Bangkok. That would be an awesome idea for a video! Finally I found a perfect blog! Travel and Eat! That is my thing. Thanks Man! I will come here every day! Hey Anita, awesome to hear that, thanks! Hey Felix, thank you for sharing! I think the food often has to do with length of flight and route. So great to hear you had such a good food experience on SAS. I’ve followed your blog and YouTube channel for many years and actually visited some of the places you suggested in my travels. Finally I decided to start up my own blog to. Please feel free to take a look when you have time. Hey Anthea, great to hear from you, and fantastic news that you’ve decided to start your own blog. Looking at your blog right now, you are off to a great start. Keep on creating content! Hi Mark. Ur vedios are so great. I am from Sri Lanka and I have seen couple of clips of ur tour to Sri Lanka many years ago. but I think you need to travel here again with your wife. Hi Vera, thank you very much for your support. I would love to visit Sri Lanka again! This is amazing, Mark! I love airplanes, airports and airlines, you doing a review on the food of so many is a joy to read. If you ever have the chance to fly Brussels Airlines, come to Belgium and enjoy our cuisine, i know you’ll love it ????. Would be happy to show you around! Lot’s of love and thank you for inspiring me to travel. Very interesting to see and to know what we will get from Airplane food during these trips. Thanks for good and honest tips. Tell you the truth foods on Thai airlines seldom satisfied me (sorry to say this. I’m Thai and maybe I might over expecting the better things) So I agree with you completely. They should consider some improvement, or else…. on your flight to Rome looks like an insalata caprese? toms-mozzarella and a basil oli dressing? Hey Chris, you’re probably right about that. It was good! never thought i’d wanna hop a plane for a good meal, but your post has me seriously considering flying turkish or air india! nice pix. Thanks Karen, awesome to hear that! Great reviews. 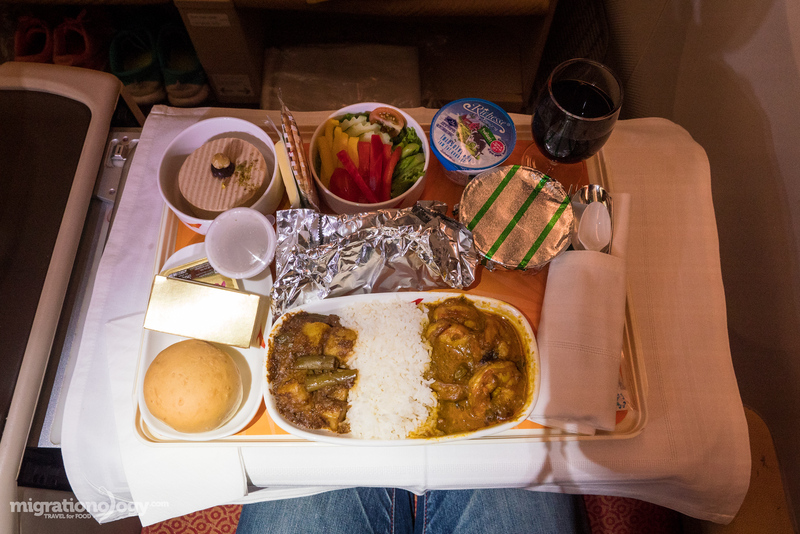 I remember the best food/service I ever got was when I was upgraded to business class on a one leg of a trip home on leave from Korea back in 1988. It was Tokyo to Portland. I can’t remember the airline. It might have also helped that my seat mate and I were the only 2 females in business class. On top of an excellent meal the steward kept bringing us fine liquors along with beautiful and delicious snacks like tiny iced cakes. He’d come around and ask “have you ever tried Courvoisier?”, “have you ever had Hennessy?” etc. I was so stuffed and to be honest pretty tipsy that I was grateful to find on my next leg that I had all 3 seats in my row in coach to myself. I put up all the arm rests and slept until we landed in Atlanta! 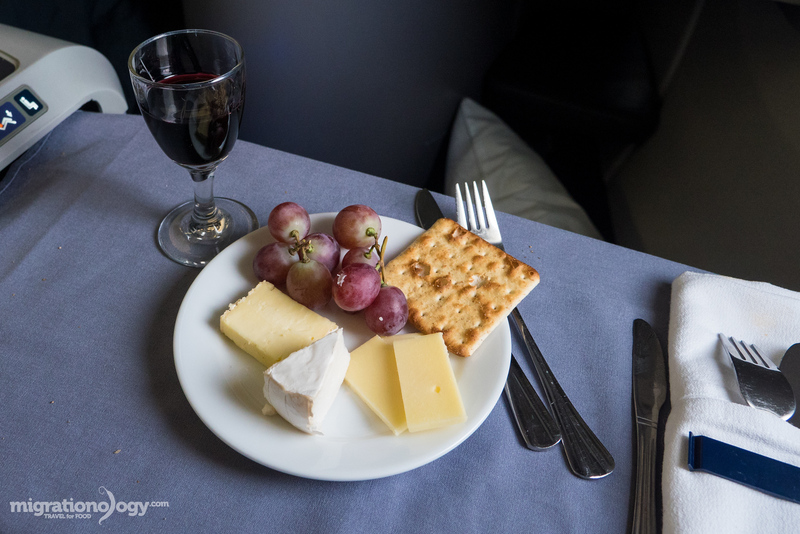 Hi Pamela, awesome to hear from you, thank you for reading the blog, and for sharing your story about eating on your flight. Haha, that sounds about right, they keep offering more food and more drink. Thanks for all your support! Really cool to hear about your experiences eating airplane food. It looks like it’s often pretty good! Impressed! As a vegan, I don’t usually get to partake in the meals, which is always a little sad. I know they have vegan options, but I never see how to select it when I buy my tickets or when I do check-ins, and if you ask about it when you get to the airport they always say it’s too late. Business class looks nice! Would you say it’s really better than economy? Hey Lindsay, good to hear from you. I think business class is way above economy for long distance flights – like 5 – 10 hours or longer. But on the shorter flights 1 – 3 hours, it often wasn’t much more than economy class. Amazing post, yet again Mark! I wish I could do this one day…. fly around the world! And hopefully in business class too 😉 thanks for a great read! Hey Gia, thank you very much. I know you’ll be able to do this in the future! Hope you’re doing well. Business class food should be a cut above what is served in ‘cattle’ class on the very few occasions I’ve up graded I’ve found the food good but not so much better than what I usually have and was surprised by this.There are limitations on what can be done in this type of cuisine but at well more than double the seat price I’ll stick to economy.Thanks for your reviews that entertain and tease us with your expressive narrative and video .So many places and so little time where to try next? Hey Duncan, great to hear from you, thanks for reading. I agree with you, I also found that on the shorter flights, the food / even seat, wasn’t much above economy class. But where business class shined was on the longer flights over 5 hours. Now in Thailand, not sure where next! Hey Nazri, thank you so much for sharing your experience with airplane food. That prawn curry was amazing. Thanks for your support! I enjoyed all the videos you make. You and Ying are so cute together. Every time you two exchange greetings. I felt the love you two have for each other. In a way i get to share that vibe. Thank you for what you do, keep up the great work. PS: please share more of Ying! Hey Lani, really appreciate you watching and following, thank you. I will say hi to Ying for you! Great report Mark as always , do you think they upped there game service wise on these flights as your a known face and were on comped flight tickets ? I am flying Emirates economy next week from London to Bangkok and already know what the menu choices will via the Emirates app although i am more excited about being able to try Shake Shack in Dubai airport lol, Also agree with you regarding omlettes on planes they never taste quite right imho .Cheers and keep up the great videos . Hey Matty, good to hear from you, thank you very much. On most of the flights I don’t think they knew who I was, so I don’t think that was a major factor. Also, on the flights where service was really good, I noticed that it wasn’t just for my wife and I, but for others sitting around us as well. Have a great flights on Emirates, and enjoy Shake Shake! Hey Randy, will try to do that. 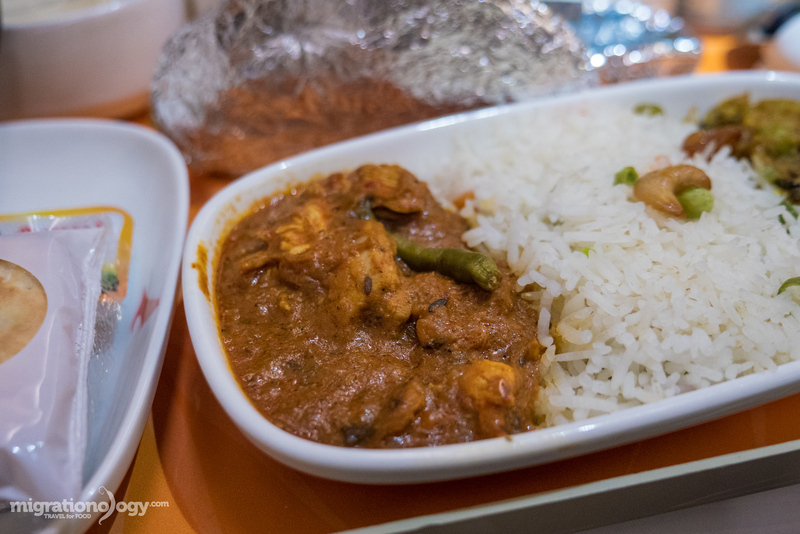 Right off the top of my head though, the best were Turkish Airlines in Istanbul and Air India in Mumbai – the selection of Indian food was awesome. Hey Hidy, cool to hear you’re a gold member on Star Alliance. I still would love to try Singapore and EVA! and love your expression a lot,make me want to try new food. please come to Tokyo again. Hey Kyoko, thank you very much, really appreciate it. Hope you’re doing well. Hi Shery, thank you very much for reading, and for your encouraging words. I’d love to visit Pakistan in the future, thank you for the invitation!